Mechanical Engineering Institute, Yanshan University, Hebei Street, Qinhuangdao, Postcard: 066004, China. 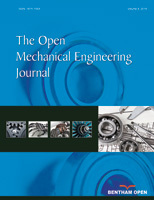 The authors proposed an electromagnetic harmonic movable tooth drive system which is an electromechanical coupled system where the coupled dynamics controls its overall operating behavior. However, the coupled dynamics of such a system was not found in the literature. In this paper, an electromechanical coupled dynamics equation of the flexible ring subjected to electromagnetic force is presented. Using the equation, the natural frequencies and vibration modes of the flexible ring are investigated. The results show that the natural frequency of the drive system is affected by mechanical and electrical parameters among which, the coil current, the average static displacement of the flexible ring and the air gap have more obvious influence on the natural frequencies. The results are useful for the design and further study of the dynamics performance for the drive system.